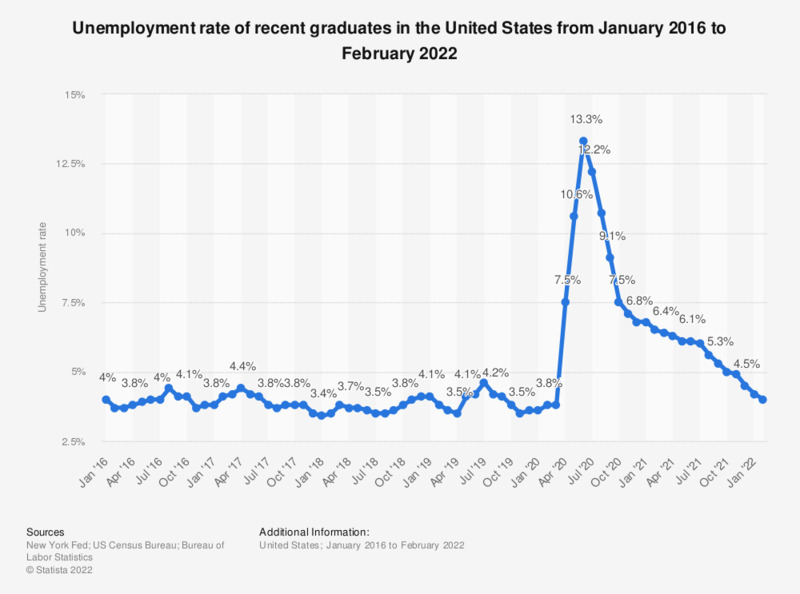 The statistic shows the unemployment rate of recent graduates in the United States from December 2017 to December 2018. In December 2018, about 3.7 percent of recent college graduates were unemployed in the U.S. Recent college graduates are defined as those aged 22 to 27 with a bachelor's degree or higher.